JERUSALEM - Israeli media say a police investigation has recommended indicting the wife of Prime Minister Benjamin Netanyahu over misuse of state funds and inflated household spending. Channel 2 TV and other outlets reported Sunday that police believe they have enough evidence to bring Sara Netanyahu to trial. It said she used state funds to care for her late father and over-billed for meals. In a statement, police announced the end of their investigation but offered few details. A spokesman for the prime minister denied the accusations. "Mrs. Netanyahu did not break any law, these are matters that do not even come close to breaking the law ... We are certain that when the authorities check the facts they will find that there is nothing in them," Netanyahu spokesman Nir Hefez said, according to Reuters. 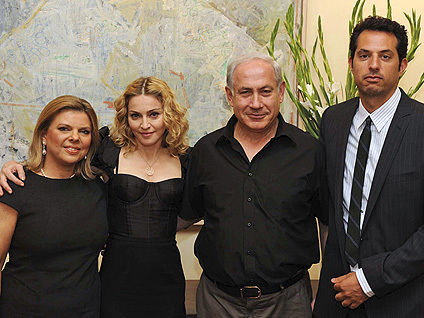 The Netanyahus have long faced scrutiny over their spending. In a separate report by the state auditor on Tuesday, Reuters reports that the prime minister was criticized over free air tickets that he and his family received for travel abroad when he was finance minister more than a decade ago. Sara Netanyahu in particular has been accused of using government funds to support her expensive tastes and alleged abusive behavior toward staff. As far back as 2000, police suspected the couple of conspiring with a government contractor in a kickback scheme, illegally keeping gifts, and obstructing justice. In February, a former employee won a court case against her alleging he was subjected to abusive language and insults.